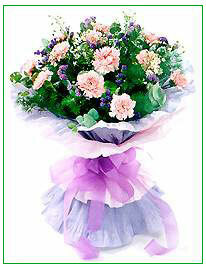 Say a special "Thank You" with flowers..
12 Stalks of Pink Carnation with Statice in crepe paper. Approx. 15" W x 22" H .